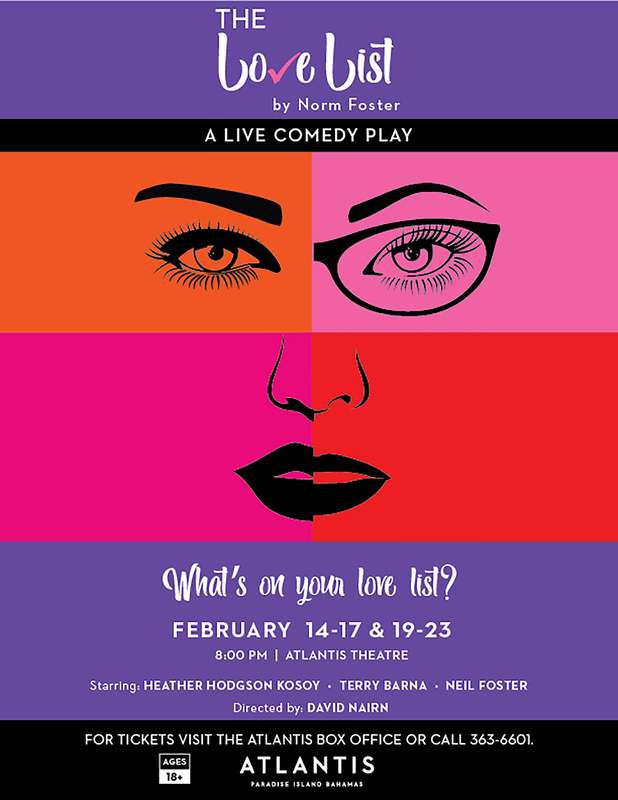 THE LOVE LIST this February 14th to 17th and February 19th to 23rd. In this side splitting and thought provoking new comedy, Leon and Bill concoct a list of attributes of the ideal woman - the top ten best qualities in a mate. When this allegedly "Ideal Woman" actually arrives on the scene, the men quickly learn that their list could use a few revisions. Be careful what you wish for - especially in choosing a mate. This old adage leads to hilarious results in Foster's sparkling new comic hit. Not yet convinced? Then take a minute to watch the attached video clip of Heather in action on her Canadian hit reality TV show called Meet The Family, where everyone is an actor except one unsuspecting individual who comes to meet their partners "family".